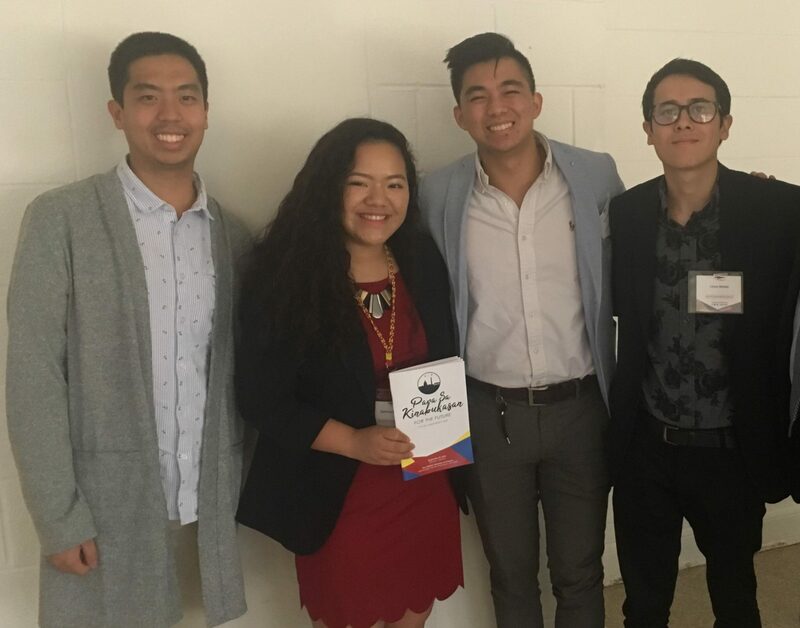 Empowering Pilipino Youth through Collaboration (EPYC) was born out of the 2014 NaFFAA National Empowerment Conference Pre-Conference Leadership Institute in San Diego, California. 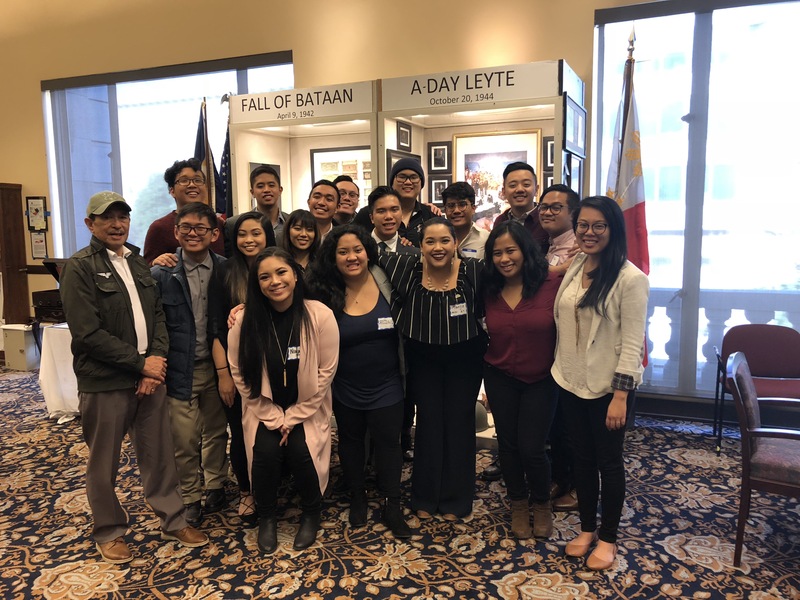 Young Filipino American leaders came together and formed a coalition of student leaders, youth development organizations, and individuals passionate about youth empowerment. Ambition. We are bold when we act on our empowerment and strive for community-building in spaces that demand it. Collaboration. We are collaborative when we strengthen intergenerational coalitions and allyship. Empowerment. We give ourselves power when we promote knowledge-sharing, learning, skill-building, and dialogue on the regional and national level. According to the U.S. Census, of the four million Filipinos living in the U.S., one-fourth (almost one million) are youth between the ages of 18 to 34. After conducting focus groups, NaFFAA found that Filipino youth interviewed lack the resources and skills needed for campus and non-profit leadership positions; face difficulty juggling personal, extracurricular, and academic priorities; and fail to continue remaining engaged after graduation due to burnout, lack of mentorship, or professional and familial responsibilities. 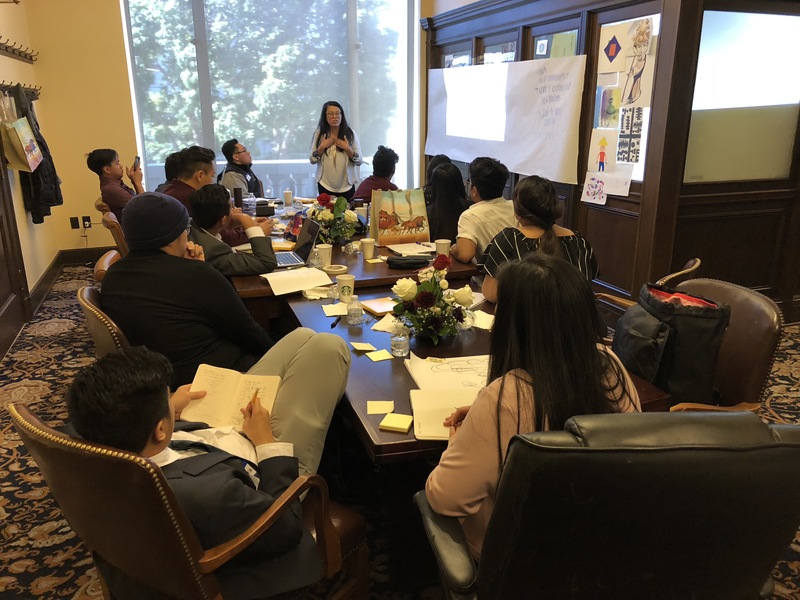 To address these issues, in the summer of 2017, NaFFAA launched its inaugural Empowering Pilipino Youth through Collaboration (EPYC) Ambassadors Program to strengthen the personal and professional development of young Filipino Americans. The inaugural class consists of twelve ambassadors, mostly Filipino American college students and young professionals under the age of 30. 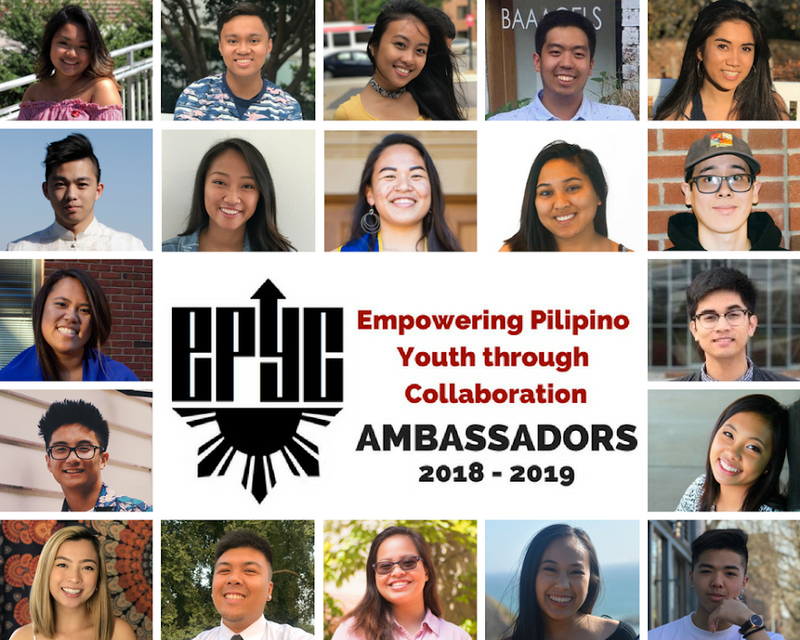 Hailing from across the country, the Ambassadors have engaged fellow young Filipino Americans by hosting events and participating in conferences, writing blogs and leveraging social media, and leading a capstone initiative called “My EPYC Project” focused around leadership development, civic engagement, or advocacy. They also attend monthly webinars to help develop their knowledge, attitudes, and skills in key areas. We need your help investing in the next generation of leaders! Donations can also be sent to @NaFFAA-National via Venmo. Alyssa DeGuzman, 20, is currently a Junior at Temple University’s College of Public Health. She was born and raised in Bergenfield, New Jersey, which is known as the the “Little Manila” of Bergen County. During her time at Bergen County Technical High School, she led a Filipino cultural dance group. She is also a scholarship recipient for the PACBC, the Philippine American Community of Bergen County. Alyssa is currently majoring in Speech Language Hearing Sciences, minoring in Public Health, and pursuing a certificate in American Sign Language and Linguistics. She is President of District 5’s TUPAC (Temple University Philippine American Council) of FIND inc. This past 2017-2018, she served as TUPAC’s Event Coordinator. 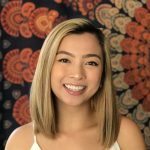 Through TUPAC, she hopes to help members find a deeper connection to their culture and increase Filipino awareness and representation in the community. She is also Director of TUPAC Legacy, TUPAC’s dance team. This past year, Alyssa served as a FPACA (Filipino Physical Activity Community Advocate) for the Get Phit Program, a research project conducted by her mentor from Temple University, and the PCSNJ (Philippine Community of Southern New Jersey). She designed monthly workshops dedicated to strategies of living a healthy lifestyle for all ages of the Filipino community. This year, Alyssa will be participating in an honors research project where she will be conducting research amongst college admissions, and working as a Temple University Option reader for the Office of Admissions. Through TUPAC and NaFFAA, she hopes to make the Filipino culture more heard, seen, and known, and empower Filipinos to claim their identity. She hopes to find her voice, and become a better leader for the Fil-Am community. Joan Cadete is a 20 year old current student at Temple University where she is a rising junior majoring in Psychology. She was born in Quezon City, Philippines, where she spent her early childhood, and has kept a strong connection with her Filipino roots and culture. 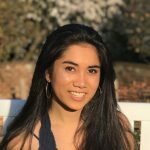 Since the start of her college career, she has been involved with TUPAC (Temple University Philippine American Council), a student organization focusing on Filipino culture and heritage where she has recently been appointed Culture Chair for their executive board. 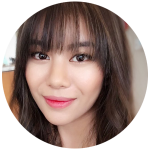 She has also partnered with NaFFAA (National Federation of Filipino American Association) in the past by volunteering for events and even became part of a discussion board about Youth Professionals and empowering them. Through these experiences she hopes to connect with Filipinos and other minorities in America in order to empower them and their aspirations as well as giving them a platform where their voices can be heard louder than ever before. Outside of TUPAC and NaFFAA, Joan enjoys life through art and music. She attended an arts high school where she was given the opportunity to perform in various areas around the city of Philadelphia as a community service. She hopes to reach out to young minorities through art such as music, film, and mixed media, etc. because of the limitless ways one is able to express themselves through it. John Camara is a rising senior at Hobart and William Smith Colleges (HWS) in Geneva, New York. He is pursuing two majors in Economics and International Relations. In his first and second years of college, John dedicated himself to community service, serving as Philanthropy Chair of Sigma Chi fraternity and volunteering in service events such as Days of Service and alternative spring break. Committed to discussing critical on-campus issues, John now serves as President of Hobart Student Government. Born to two immigrants in Honolulu, Hawaii and raised in Los Angeles, California, John self-identifies as a second-generation immigrant and a Filipino-American. 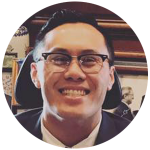 Through his experiences, John has developed an interest for advocating on issues affecting the AAPI community. 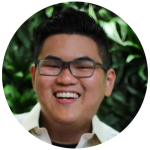 In the summer of 2017, he interned with the US Forest Service and worked on a group project analyzing gentrification with the Conference for Asian Pacific American Leadership (CAPAL). 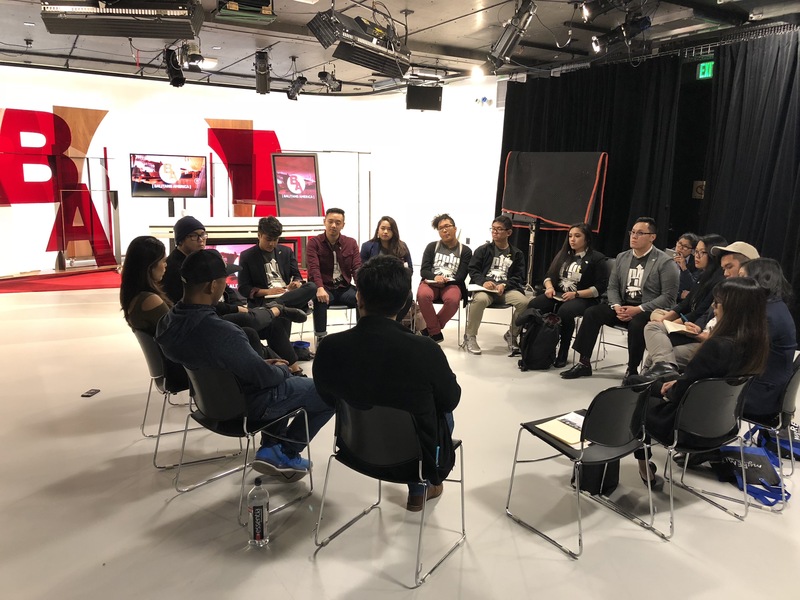 He also represented HWS Asian Student Union at the 2018 East Coast Asian American Students Union Conference. John has interned for nonprofits and public officials, and on his free time, he likes to run, hike, and watch movies. After college, John hopes to enter a public service career. Austin Chavez is a senior at Virginia Commonwealth University in Richmond, Virginia. On campus, he currently serves as the Vice President of the Asian Pacific Student Alliance and as a Diversity Student Ambassador for his campus multicultural office, where he is tasked with programming and budgeting during the cultural heritage months. Off campus, he has interned and worked for the Smithsonian, D.C. Public Schools, and at Brown University at varying roles and capacities. 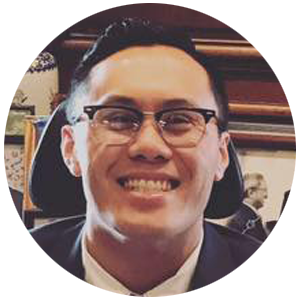 Born in the Philippines and raised in the suburbs of Washington, D.C., Austin has witnessed first-hand the disparities faced by minorities in urban cities and public education which he sees as Filipino-American issues as well. He believes that public education and programs are ultimately about people’s livelihoods; they are about the kind of life we want and expect for our people. Since attending college, he has developed a passion for education equity, education justice, and community development. The kind of life he wants and expects for his community is the ability for them to think critically without fear. 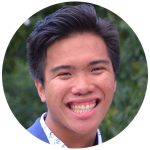 From Manila, Philippines, Franz Sandil is a senior at Georgetown University majoring in Health Care Management and Policy. As an aspiring social entrepreneur, his focus is to develop technological advances and innovations in the healthcare industry to not only make it more efficient and effective, but also bridge the gap in health care disparities in the world. In the future, he hopes to find a career in which he is able to combine his passion of technology, business, and healthcare. In addition, he runs his own lifestyle blog site fsandil.com producing content that covers travel, style, and world cuisine. When back home at Houston, Texas, he operates his business, Aura Event Productions, specializing in event planning and services. He provides clients with unique ideas, motifs, decor, lighting, audio, and DJ services for their events. He has served as past Student of Color Alliance Representative, Vice President and President of Georgetown Club Filipino. Currently he is the Director of Marketing for TEDxGeorgetown focusing on sharing and elevating the stories of individuals with igniting ideas worth spreading. As an EPYC Ambassador, he looks forward to seeing how Filipino leaders can make change across all industries, especially in health systems. Louis Medel is a 23 years old, born in Washington D.C. He, however spent his early childhood years in Manila and went to high school in California. He recently moved back to Washington D.C. a couple of years ago and is a college graduate from Ithaca College. There, he majored in Integrated Marketing Communications. While taking digital marketing courses, he also took a lot of Asian American studies courses. He has earned a lot about Filipino American history and wanted to get involved with not only the Asian American community, but the Filipino American community as well. For him, being a part of EPYC means he can do just that. In his free time, he plays basketball, in college he was president of the breakdancing club and his dream job is to be a comedian. Ysabel Sprague,19, is a second year student at the University of Virginia studying English with an interest in secondary education. She was raised in a multicultural household in the town of Vienna, Virginia. Throughout her life she witnessed in both herself and others the struggles that came with trying to have pride in one’s Filipino identity in a place where it is not recognized or thought of as important. Through her activity in both OYFA and EPYC she wants to help other Filipino-Americans feel confident in themselves and their heritage. In her university she is active in the Organization of Young Filipino Americans, where she acts as one of their Membership Chairs to bring people into the organization. Although academics and The Organization of Young Filipino Americans are extremely relevant and important in her life, Ysabel always believes that family is most important. In her free time she enjoys talking to her family members, learning more about her respective Filipino and Spanish heritages, and reading all types of books. Through her experience with NaFFAA she hopes to gain a better insight into the Asian American community around the US and learn how to empower other Filipino Americans. 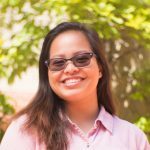 Marissa Galang is a senior at the University of Kentucky currently majoring in biology. After graduation, she plans on going to nursing school. At the end of my freshman year, she was one of the co-founders of the Filipino American Student Organization (FASO) at UK. Their purpose in FASO is to spread awareness of the Filipino culture and invite everyone on campus, Filipino and non-Filipino, to learn more about the Philippines and its culture. 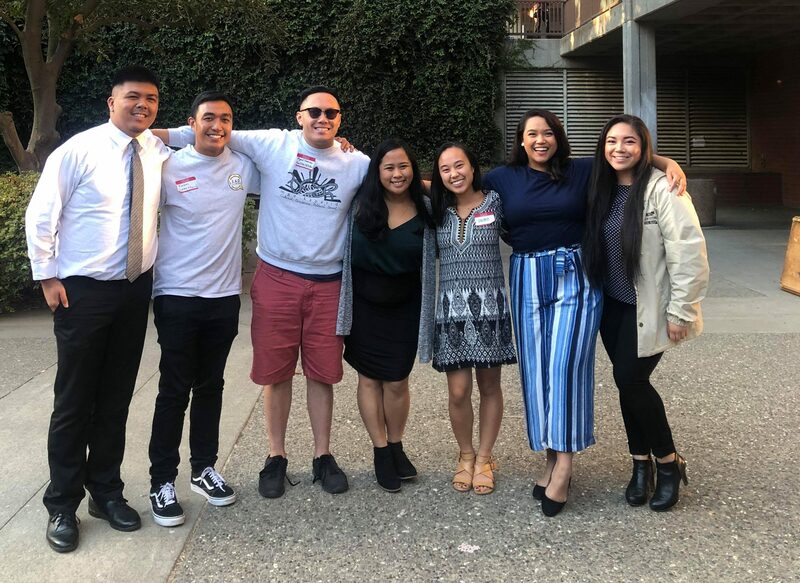 Even though their organization is small, it has brought her many great relationships with other Filipino – Americans on campus. Within FASO, she has been an officer on the executive board each year as Social Chair, Secretary, and Vice President External along with the Midwestern Association of Filipino Americans (MAFA) representative for her school, which is her current position. Outside of FASO, she is involved in a sorority, Alpha Omicron Pi (AOII), and Alpha Phi Omega (APO) which is a co-ed service fraternity. 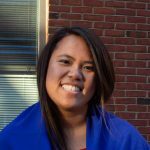 As a first-generation Filipino-American born and raised in Louisville, KY, she has experienced some challenges, but she has been able to get involved within the Filipino community and hope to branch out and connect with other Filipino-Americans in her area. Charles Federico is a senior at University of Illinois at Chicago. Studying Information Decision Sciences with a concentration in Management Information Systems, Business Analytics and Operations and Supply Chain Management, he aims to do great things in the tech industry. Aspiring to become an entrepreneur someday he has involved himself in many organizations seeking leadership positions such as Vice President of Information Decisions Sciences Organization and Professional Development Committee Head of Alpha Kappa Psi (A Business Fraternity) to apply the things he has learned through the leadership programs and classes he has undergone. Several fun facts about this individual is that he loves to play ultimate frisbee, basketball and occasionally play video games. As well as being one of the two Jollibee mascots in Illinois. He loves the outdoors as well and likes thrill seeking activities like skydiving and white-water rafting. He is passionate about helping others, and creating connections with peers, as well as enjoying time with family and friends. He wanted to become an EPYC Ambassador not only because he wanted to refine his skills but to also gain knowledge and get back to his Filipino roots. He’s looking forward to leaving his mark within NaFFAA. 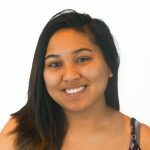 Cassandra “Sandy” Amorado, 21, is currently a junior at Saint Louis University in the Richard A. Chaifetz School of Business in St. Louis, Missouri. She is majoring in Leadership and Human Resources Management with a minor in Psychology. Cassandra is involved in many extra- curricular activities on and off campus. She is as a member of the service and faith-based learning community, Micah. She will also be serving as a Small Group Leader for Micah, which she will be guiding freshmen students through their first year of college. 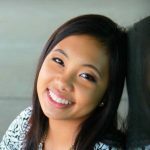 Cassandra is also an active general body member in SLU’s Filipino Student Association. This year, she will be serving as secretary for the campus’s StudentsCare chapter. While not at school, she is working at Michaels Arts and Crafts store as a cashier. She loves to serve within her community and learn about new ways of self-development. Being born and raised in a small and rural town in Illinois, Cassandra is very excited to learn more about the Filipinx-American culture and its impact in the community. She is ready to serve as a representative for the Midwest region and for all the opportunities that NaFFAA and the EPYC Ambassador Program has to offer. Read Not Everything is Set in Stone by Sandy Amorado. 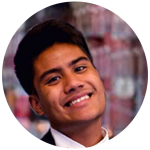 Timothy Ramos is currently a sophomore attending the University of Illinois at Urbana-Champaign (UIUC). He is studying Chemical Engineering and hopefully getting a minor in business as well. This academic year, he is the Filipino Culture Night Co-Coordinator for their very own Philippines Student Association (PSA). In addition to being part of PSA, he also enjoys dancing and spoken word poetry. For most of his life, he grew up in Bolingbrook, Illinois. There wasn’t a big, established Filipino community so he was never able to partake in his own culture besides going to family parties. NaFFAA has blessed him with the opportunity to be part of their EPYC Ambassador program and he could not be more appreciative and happy. Now, he believes he finally has the opportunity to explore his identity as a Filipino-American along with many others. Simply being chosen as an Ambassador has taught him one thing: no matter how much you know or don’t know, you can always make a difference. 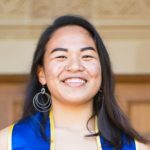 Originally from Portland, Oregon, Keala Marasigan graduated in June 2018 from Seattle University with a B.S. in Biology. Throughout her time at Seattle University, she found a “pamilya” within the Seattle University’s United Filipino Club, and went on to serve as Cultural Chair during her senior year. The United Filipino Club offered her a space where she felt included and a part of a community that shared an appreciation and respect for the Filipino culture. Through the organization she was also able to reflect upon and develop her Fil-Am identity. She hopes to inspire others to continue vocalizing their stories and experiences through discussion and dialogue so that their stories may relate to and inspire others as well. Keala currently works as a Lab Assistant at a medical laboratory facility in Seattle. She aims to continue her professional development while also remaining engaged and in support of the Fil-Am community. Originally born and raised in Vallejo, CA, Myron Bañez is currently a second year at Seattle University majoring in Public Affairs and International Economic Development. 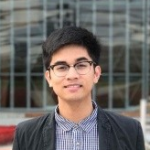 Throughout his time at SeattleU, he has been involved with the Office of Multicultural Affairs, the United FIlipino Club (UFC) as the New Student Representative as well as the current networking and outreach Barrio chair, and is serving in his first full term as the Secretary of Public Relations & Outreach for the Northwest Filipino American Student Alliance (NWFASA). In his freetime, he enjoys learning about social welfare, uber-ing to boba shops, discovering new emoticons, and petting cats. Coming from an underserved community, he has experienced what it means to have an inequitable education at a high school with predominantly students of color. 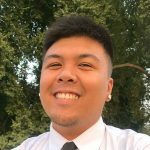 This sparked his interest in civic engagement and public service, so as a student leader, he strives to foster an ethnic studies program, safe spaces for students of color at SeattleU, and high school outreach programs to Fil-Am youth in the greater Seattle area, and hopefully the Pacific Northwest. He is passionate about accessible and equitable education, labor, immigration and housing policies, so he hopes one day to pursue a Masters in Public Policy. Read It Begins With Comm[YOU]nity by Myron Bañez. Gabe is a fourth year at the University of California, Davis pursuing a Bachelor’s degree in Sociology, Organizational Studies and a minor in Technology Management. 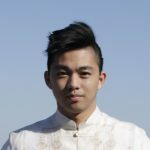 He is involved in his Fil Am community at Davis as one of Mga Kapatid’s 32nd Annual Pilipino Culture Night Coordinators. In addition, he serves as the Northern California Pilipinx American Student Alliance Internal Chairperson. Passionate about his community, he hopes to develop better relations among the different collegiate organizations in and out of California and foster a better awareness for advocacy and academic retention. Gabe is interested in social justice, healthcare/public health, public policy, and education. 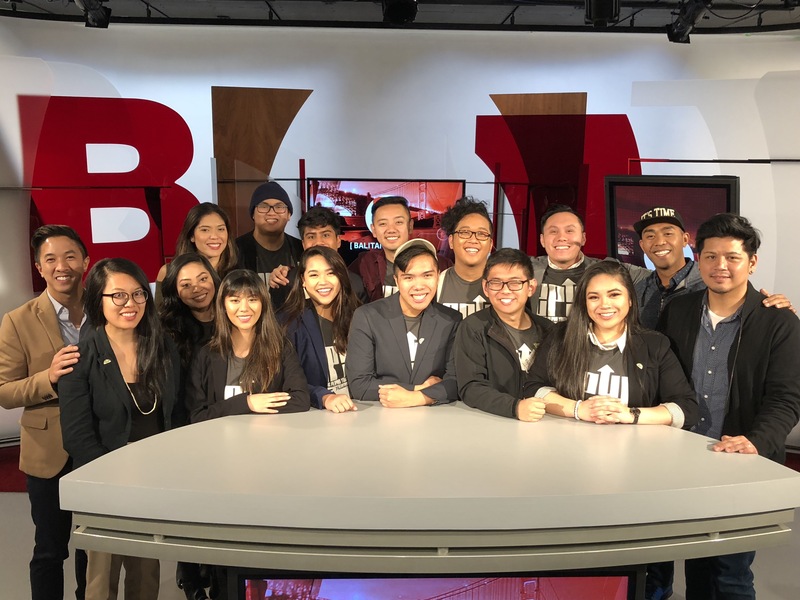 Mentorship and collaboration are his two main values he believes can set a foundation for Fil Am in order to create lasting movements that future leaders can build upon. Outside of his community work and school, Gabe loves to sing, play musical instruments, spin Drum Major baton, read, cook, and write. He also enjoys traveling whether it is with friends or family. After his undergraduate studies, he plans to apply for an entry-level federal job. After a gap year or two, he then intends to pursue a joint MBA in Healthcare Management/JD. 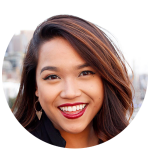 Jasmin Marie Morgia was raised in Sacramento where she got involved in the Fil-Am community at an early age. She joined Sinag-Tala Performing Arts Association, a non profit organization, at the age of 13 and once bashful and untrained, grew to become a resident choreographer years later. 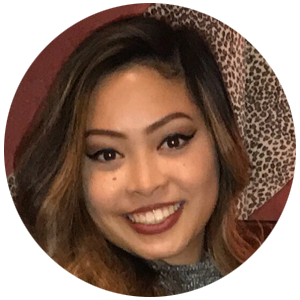 She was a recipient of the Bayanihan Dance Company scholarship presented by the SFTPAA organization in 2010 and scholarship recipient for the Filipino Community of Sacramento & Vicinity in 2013. In addition, she placed 2nd runner up and won “Best in National Costume” when she competed to be Miss Teen Fiesta Filipina of Sacramento. When she attended University of California Santa Cruz for her bachelor’s degree in Environmental Studies and Sustainability Studies, she made it a point to continue connecting and engaging with the Fil-Am community. She served as Pagkakaisa Dance Troupe coordinator in 2015-2016 as well as Kuya Ate Mentorship Program Chancellor’s Undergraduate Intern in 2016-2017 for Bayanihan on campus. She worked with other collegiate Fil-Am organizations in Northern California when she was finance chair. She wishes to continue to grow and develop her Filipino American identity and spread her love for the culture and heritage through strengthening bonds and personal outreach. Aubrey Mamaid is a sophomore at UCLA with a double major in Dance and Asian American studies, minor in Visual and Performing Arts Education. Migrated from Antipolo, Philippines three years ago, Aubrey continuously overcomes adversities set on her path. None of her high school classes from the Philippines were accredited thus, Aubrey had to complete a four year high school degree within two years. Through the support of her family, Aubrey accomplished greater things than she could have ever imagined. Now studying in one of the prestigious universities in the country, Aubrey carries the flying colors of the Philippine flag with her. As an active Samahang Pilipino Member, Aubrey worked through multiple internships to become the 42nd SPCN Cast Modern Coordinator. You can always count on Aubrey to be in a dance studio training with Versa-Style Next Generation Dance Company– or just simply dancing her heart out! Not only is Aubrey taking center stage on the floor but she also takes the spotlight in her academics as an APIASF/ Bank of Hope and APIA NBC/Universal Scholarship Recipient. With her new involvement with EPYC, Aubrey aims to increase Asian American Hip-hop representation and awareness as a form of arts activism for the youth. 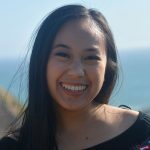 Natalie Nuesca, a 21-year-old Los Angeles native, is the former chairperson of the Southern California Pilipinx American Student Alliance (SCPASA). She is a recent graduate of California State University, Fullerton with a B.A. in English and Communications with a concentration in Journalism. She also served as programming director for SCPASA and as secretary and publicity chair for the Pilipino American Student Association (PASA) at CSUF. She began elementary school in, unknowingly at the time, Historic Filipinotown and continued through her high school education rarely identifying with her Pilipinx heritage. It wasn’t until she joined PASA Kaibigan during her first semester of college that she began to embrace this part of her identity. As she became educated on her culture, she gained an appreciation of who she is and where she comes from; and she grew a passion for sharing her cultural discoveries with others. In her free time, she enjoys getting lost in books, being enchanted by musicals, feeding her creativity with music and writing, and exploring new places through travel. She feels incredibly blessed to be representing the Greater Los Angeles Region and is thrilled to be a part of this journey of community, culture, and empowerment. 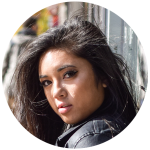 As a young Filipina American born in the United States, Caitlin Gatchalian struggled with defining her identity. With very limited Filipino role models outside of herself, especially in her field of study, she had to make her own path in this very political world. 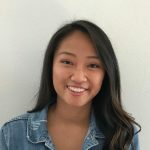 Caitlin has participated in programs like the Alliance for Climate Education and Young People For; allowing her to learn about the dynamic issues that affect young Americans each day, but she takes it a step further to explore how these groups relate to Filipino Americans as well. Aside from participating in fellowships, Caitlin has been a part of campaigns for candidates like Nevada Assemblywoman Sarah Peters and for Nevada Congresswoman Jacky Rosen, but also Question 3 on Nevada’s ballot. All the experiences and hard work has shown her that she is ready for the next step: running for Nevada State Senate in 2020 and being the role model that she never had. Leilani Encarnacion is an 18-year-old student who attends Temple University. She is going into her second year of college, and is majoring in Kinesiology. 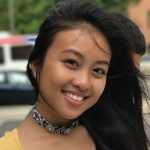 She is currently active in TUPAC (Temple University Philippine American Council), where she hopes to excel as an officer within the next year. In her college career, Leilani hopes to learn more Tagalog, take part in more student organizations, and be more involved with the Temple community. She was born and raised in Newtown Pennsylvania, and currently resides in Bensalem Pennsylvania. She graduated from Bensalem High School in 2016, where she was a part of the honor roll and the National Honor Society. Through the National Honor Society, she tutored students in elementary school who needed help in mathematics and science. She also volunteered several hours for Special Olympics Bucks County Pennsylvania from 2014 to 2016. She currently works at Famous Footwear as a sales associate. On her free time, Leilani likes to spend time with family and friends. She also enjoys singing and playing the guitar and piano. She is very excited to be involved with NAFFAA, and is ready to gain experience, empower others, and most importantly, learn more about the Filipino-American community. Sariah Loy is a nineteen year old, soon to be twenty in October, Filipino-Chinese American student. She immigrated to the United States back in 2001 and was raised in the city of brotherly love, Philadelphia. During her attendance in Central High School, she took part in Global Youth United (GYU) where global issues were discussed weekly and the Philadelphia Diversity Conference (PDC) which held an annual conference in LaSalle University on a different topic each year. She is interested in learning a new language and wishes to experience different opportunities globally, so she is majoring in International Business at Temple University. Back in December 2016 she was able to fulfill part of this interest by assisting in teaching students at an English camp in Monterrey, Mexico through the International Youth Fellowship (IYF) and hopes to visit other countries in the near future. 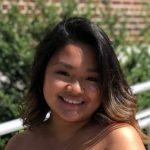 As she enters her sophomore year of her College career, she hopes to continue being a part of the Temple University Philippine American Council (TUPAC), Vietnamese Student Association (VSA), IYF, and to join other organizations such as the International Business Association (IBA). In addition, Sariah enjoys learning about film and media in her spare time. 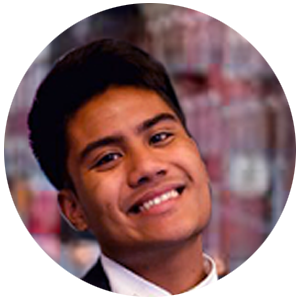 Joe Malasa is a Filipino-American from Virginia Beach, studying as a third-year student at the University of Virginia. 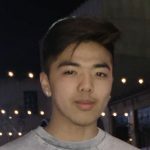 He is double majoring in Psychology and American Studies with a concentration in Asian American studies, investigating the relationship between racial identity and how people make their decisions. His biggest involvement at the university is acting as the President of the Organization of Young Filipino Americans which consists of 400 members consisting of both Filipinos and anyone interested in the culture. His priority is on the empowerment of Asian Americans in their identity and equipping communities with leadership tools pivotal for chartering new avenues for Filipinos. He would like to work on making Filipino ethnic studies more widespread on college campuses and adding more networking opportunities for young Filipino-Americans. 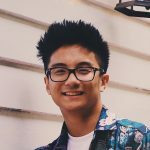 He is most excited to learn about the roots of the Asian American identity while also networking with inspiring Filipino Americans around the country. Nina Duller Cedro, 19, is currently a junior with senior-standing at Wayne State University in the Mike Ilitch School of Business in Detroit, Michigan. She is in the 5-year MBA Program with a double major in Marketing and Information Systems Management. Nina has been in the FILAMCCO Michigan community for over 10 years, starting at the PACCM (Pilipino American Community Center of Michigan) in Paaralang Filipino youth classes to becoming one of the Co-Youth Chairman, as well as a scholarship recipient, for the Council of Asian Pacific Americans (CAPA). 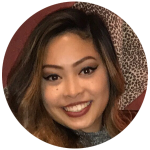 Nina is also part of the executive board for the Midwest Association of Filipino Americans (MAFA) as their Vice President External, where she oversees being the main liaison of communication between schools outside and under the MAFA Umbrella. Nina has become the youngest member in MAFA history to be voted onto the MAFA Executive Board, being only 18 years old when she was elected. When she’s not in school or involved in the APIA Community, you can find Nina working as a product specialist with Tesla Motors, or at rehearsing with her competitive, urban hip-hop dance team – Next Level Dance Company. Christian Paneda is a third-year undergraduate at the University of Michigan pursuing a Bachelor’s degree in Community and Global Public Health with a minor in Asian Languages and Cultures (Filipino). 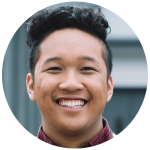 Coming from the rural area of Adrian, Michigan, Christian is dedicated to serving the Filipinx American community, especially in the Midwest in addition to connecting back to the Philippines. Christian was previously the co-cultural chair of the Filipino American Student Association (FASA) at the University of Michigan, a volunteer at the university’s hospital, and research assistant for various research projects under the University of Michigan’s departments of English Literature and Language, Psychology, and Social Work. Currently, he is the co-president of FASA as well as a senior editor for Michigan in Color column at the Michigan Daily. 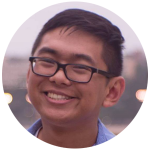 Christian is interested in diversity and social justice studies, especially in terms of public health and the Asian Pacific American community. He is also deeply invested in popular culture and its impact on Asian Pacific American youth. Outside of work and academics, Christian loves to cook, write, and talk about all things fashion as well as stationary. After his undergraduate education, Christian plans to attend law school to study international law. A fifth-year at the University of Cincinnati, Carlo is pursuing a double major in Violin Performance and International Affairs. 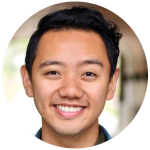 He has maintained active roles in the Vietnamese Student Association, both on his campus and throughout the region, as well as the Student Diversity and Inclusion Council. Through these experiences he has strived to promote and nurture inclusive spaces for AAPI students on his campus. Carlo hopes to bring together both of his degrees (the intersection of art and politics) to pursue a career in Asian American Cultural Programming, curation, or as a performing musician. He has previously interned with the Smithsonian Asian Pacific American Center (as part of OCA and CAPAL’s internship programs) and the Asian American Literary Review, as he believes that art and culture are integral means of activism, community building, and identity formation. His musical endeavors have allowed him the opportunity to perform at and attend music festivals across the US and in Japan. Marijo is a current senior at the University of Washington studying Medical Anthropology and Global Health. She hopes to further her education in pursuit of a Master in Public Administration after graduation. Marijo is the current President of FASA sa UW, an organization who is celebrating its 100 Anniversary of being dedicated to providing educational, social, political and cultural programming to the greater Fil am Community. She has also worked with multiple grassroots organizations, advocating for Black Lives Matter, Immigration Rights and Equity in Education. Erick Yanzon is a 4th year at Western Washington University. He is double majoring in Sociology and American Cultural Studies, with a minor in Education and Social Justice. Erick moved to Washington in 2010 from Manila, Philippines. He has been very active within the Filipino community through the Northwest Filipino American Student Alliance. He is also involved in student government on campus, and is currently serving as the Associated Students Vice President for Diversity. Erick hopes to continue his career in student affairs and help support students of color succeed in higher education. A San Francisco native, Miguel Guerrero attended the University of California, Davis, where he received his Bachelor of Arts in Economics and Political Science. During his time there, he was greatly involved in its Fil-Am community and took part in its student organizations, including Chi Rho Omicron (XPO), a Pilipino interest fraternity. He later became involved in student government upon election to the Associated Students, University of California, Davis (ASUCD) as a senator, where he represented students at large, while keeping his community close at heart. Miguel also became involved with government at the state and local level while at UC Davis and after graduation. He had internships with Lieutenant Governor of California, Gavin Newsom, Speaker of the California State Assembly, Anthony Rendon, and the Mayor of San Francisco, Ed Lee. He also served as a Career Transition Specialist for the Treasure Island Job Corps Center through the US Department of Labor in San Francisco, CA. In his position, he worked with students of the program, mainly economically disadvantaged youth in the San Francisco Bay Area, to obtain a job upon receiving a trade and vocational education. Currently, he works as a Field Representative and Caseworker in the District Office of House Democratic Leader Nancy Pelosi. He aims to continue his development in public service while serving his community. Raphael Noah Olea Natividad graduated from the University of California, Irvine in June 2017, with a B.A. in Public Health Policy and Education Sciences. He was born and lived in the Philippines for most of his childhood in Morong, Rizal. However for the last 13 years, Southern California has been his home. As early as he remembers, when he moved to the United States, he was ashamed to identify as Filipino. He didn’t embrace his identity, because public knowledge of the Philippines was scarce. The lack of Filipino representation in American film, media, and history courses, made him feel like an outsider. Thankfully during his first year in college he joined Kababayan at UCI, a Pilipinx-American student organization where he was able to gain a deeper appreciation for his Filipino culture and heritage throughout his undergraduate career. He served as a Kasama Family Kuya and Mentor for underclassmen, and as the Coordinator for the 38th annual Pilipinx-American Culture Night. 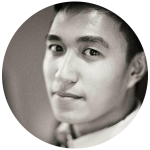 Currently, he works part-time in a software company in Irvine, and as research assistant at UCI for the School of Education. 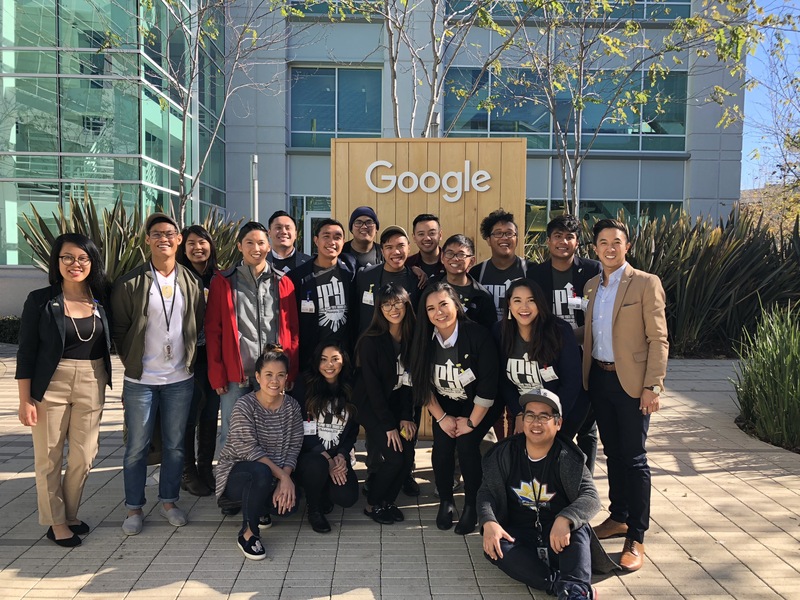 He is also involved as a staff member for the Lakas Mentorship Program which serves to mentor Pilipinx-American high school students based in Southern California. 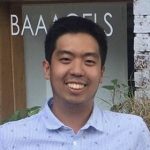 In the future, Raphael hopes to pursue a Masters in Public Health with a specialization in Community Health and to focus his efforts on the Asian-American community. Justin Suarez is a rising second year at University of California, Los Angeles with his major being undeclared social science. While going to school in Los Angeles, Justin calls Santa Maria, California his hometown, a town located in between San Luis Obispo and Santa Barbara. 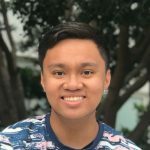 During the fall of his first year, he started becoming politically active in Pilipinx spaces when he originally joined UCLA’s undergraduate Pilipinx organization, Samahang Pilipino. Justin has gone from being an intern in various Samahang spaces to being appointed the Youth Component Coordinator. Being YCC for Samahang Pilipino’s board during Winter and Spring Quarters, Justin’s main task was to put together a youth conference, Samahang Pilipino’s Youth Empowerment Day. Although Justin is not taking a leadership position in Samahang this year, Justin is heavily involved in other activist spaces such as Student Activist Project, Queer Alliance, and conferences through the External Vice President’s Office. 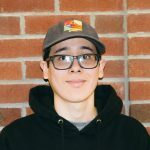 In addition to being involved in student organizations, Justin spends his time pursuing different hobbies like swimming, video editing, and photo editing. Justin thoroughly enjoys memes about adorable animals and wholesome jokes. If one needs to locate him, they would only need to listen for his infamous laugh, almost like echolocation. Contribute to the empowerment of the Filipino and Filipino American community. For information on becoming a member, click here.